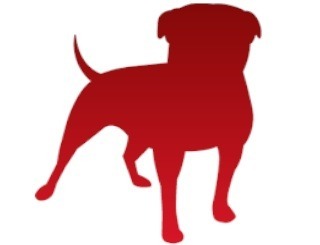 Zynga has reportedly laid off large numbers of employees from its Boston, Austin and Chicago studios, and tried to camouflage the move by making it during the Apple press event. Zynga's struggles have begun to take a toll on rank-and-file workers, as the company is rumored to have cut more than 100 employees from its studio in Austin. The news came from Twitter user Justin Maxwell, a friend of a former Austin employee, who reported that the layoff notification came during today's Apple press event and that employees were given just two hours to vacate the building. According to his source, the layoffs have affected the "The Ville and Bingo" teams. Electronic Arts sued Zynga over The Ville back in August, claiming that it was a "direct lift" of its popular Sims Social. Zynga is also continuing to struggle with an ongoing slide in its share price and loss of high profile executives; in October the company's value dropped roughly 20 percent following the announcement of a third quarter loss in the range of $90 to $105 million. Similar reports about Zynga's studios in Boston and Chicago have also surfaced on Twitter, although no numbers have been reported in those cases. We'll update as more details become available. UPDATE: Both Gamasutra and VentureBeat have independently confirmed the layoffs; VentureBeat says "almost" the entire Austin staff has been laid off, while Gamasutra states that the studio has been shut down entirely. Either way, we wish all the best to everyone affected by the cuts. UPDATE 2: Gamasutra now says it has confirmation that Zynga's Boston studio has been shut down as well. "The outpouring of support for us has been incredible," Fareed Mosavat, the general manager of the Boston studio, tweeted in the wake of the closure. "Love this Boston scene."